Submitted 2 years 3 weeks ago by WildCoast.Com. Zuma axes the Finance Minister and other opposition in his cabinet. It really should have been announced tomorrow. Fool. 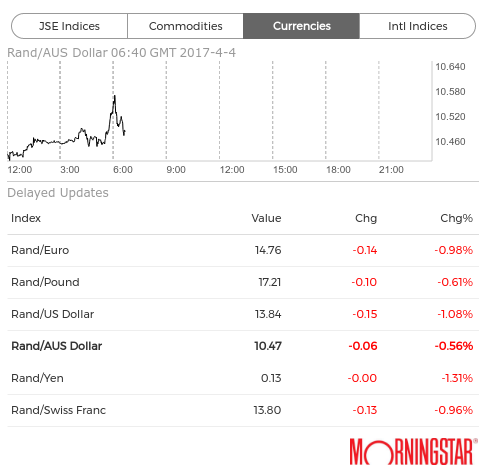 The Rand closed at R12.79 on Thursday 30 April 2017. Down 5% by 6:30am. How far will it go? Click on the pics to the left. 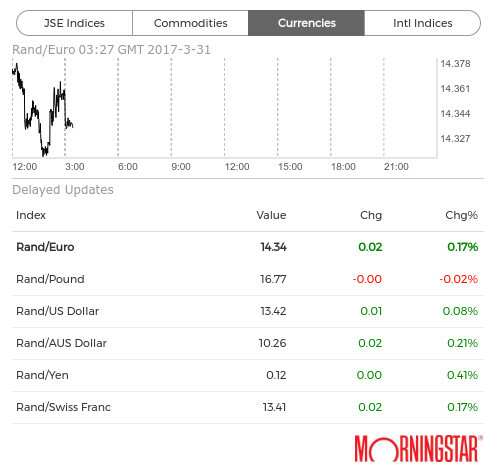 Tuesday 4/4/17, 8:40AM it's at R13.84 against the dollar, after S&P announced downgrade to 'junk' status on Monday.